Purpose built for indoor use where the ceiling height is restricted for example St Martins Church Droylsden and St Mary's in Newton. This unit is only 7 feet high but still has a full size play are the same as a standard combi castle. This unit has been built to BSEN 14960:2013 therefore meeting all legal and health and safety requirements for best practice for commercial hire usage. This unit also requires an exra 2 feet to the rear for the blower, 3 feet to the front for placing safety mats and 2 feet either side to peg/anchor the unit securely. All our units MUST be supervsed by a responsible adult at all times when in use. 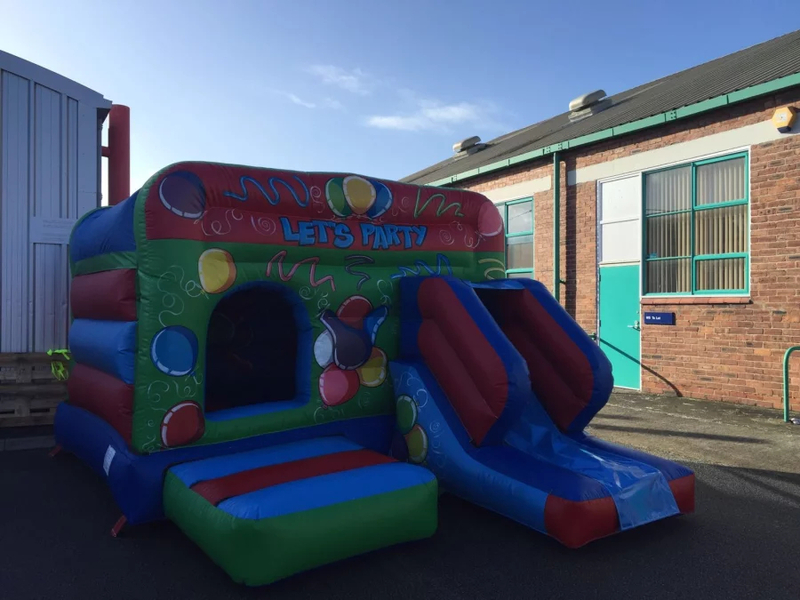 This unit is for children only up to a maximum height of 1.5m and a maximum age of 12 years old.. This unit is not for adult use as it is not insured for adults. This units is suitable for indoor and outdoor use.